Home / baby / birthday / datuk k / siti nurhaliza / Siti Nurhaliza gives birth to a baby girl! 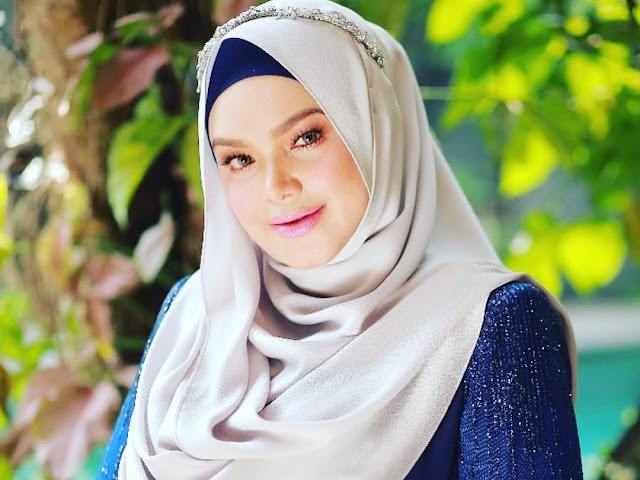 Siti Nurhaliza gives birth to a baby girl! Malaysia’s sweetheart Dato' Sri Siti Nurhaliza has given birth to a baby girl! The songstress posted a picture on her Instagram with a caption written by her manager, Rozi Abdul Razak, stating that she safely gave birth at 8:17am today (19 March). The yet-to-be-named baby was delivered via caesarean section in a hospital in Kuala Lumpur and weighs 3.55kg. Her husband, Dato' Sri Khalid also known as Datuk K, expressed his gratitude as everything went well during the surgery. "What is important to him is that the process went smoothly and his wife and newborn is healthy," Rozi said in the caption. "The couple chose Monday to be the day of birth for their firstborn because it is the day when Prophet Muhammad was born and also happens to be the first day of Rejab," she added. Siti who has 17 studio albums under her belt with "SimetriSiti" being her latest, is married to Khalid since 2006, who has four sons from his previous marriage, making the newly-born baby the first child for the couple.